The Trailblazers will be honored at a networking luncheon on Sept. 28 on the SUNY Adirondack campus. Stephen Conigliaro came to Adirondack Community College from Flushing in 1974. A student of Professor LeRoy Aiken, he found great joy in the Radio and TV Broadcasting major and at the newly established WACC Radio station. After graduating, Conigliaro left ACC to work at WIPS Ticonderoga, then moved to WBZA in Albany. He later settled in Charlotte, N.C., where a position as a professional DJ came with a new professional name, Steve Harmon. 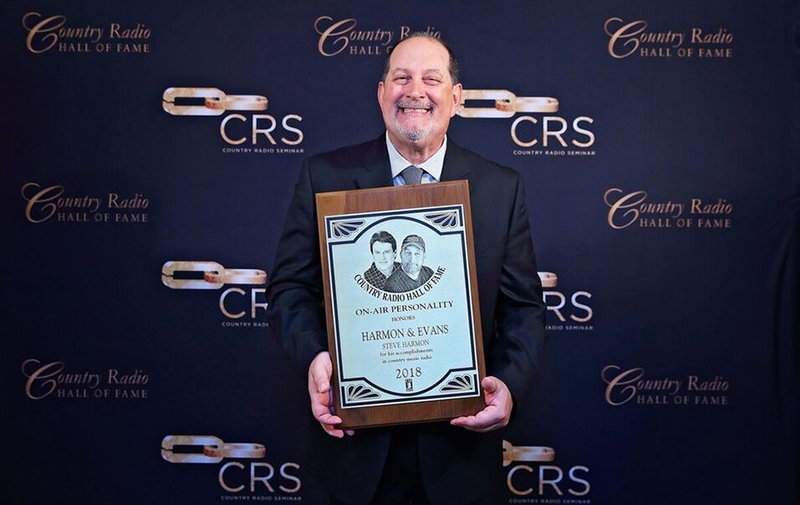 Through the years, he has won numerous awards, including three Billboard Major Market Air Personality of the Year awards, CMA Awards and, most significantly, an induction in 2018 to the Country Radio Hall of Fame in Nashville. Sarah Ghent earned her AAS in Nursing from SUNY Adirondack in 1980 as an adult learner while raising her family, and she earned a Bachelor’s in Health and Human Services from Columbia Pacific University in San Rafael, California. Ghent continued a career in nursing that covered many diverse aspects of the profession. Her positions and roles included medical/surgical nurse at Staten Island University Hospital and Glens Falls Hospital; manager of a home care staffing agency on Staten Island; implementation of the first case management program on Staten Island for H.I.P. Plan of Greater New York; clinical review, quality improvement for Empire Blue Cross/Blue Shield; and clinical reporting to physicians for Mohawk Valley Physicians. Since retirement, her volunteer endeavors include The American Red Cross, NY State Long Term Care Ombudsman (Certified) and Ombudsman of the Year 2017, NY Connects Long Term Care Council, Chairperson-SUNY Adirondack Nursing Alumni Association, SUNY Adirondack Nursing Program Advisory Board and the High Peaks Hospice. Dennis Harris is currently a systems engineer working at United Launch Alliance, where he is helping the company qualify their newest rocket, Vulcan, which will be used to launch manned missions to space as early as 2020. He graduated from SUNY Adirondack in 1996 with a Math/Science degree and then went on to SUNY Albany for a BS and MS in Physics. He received his MBA in 2010. Dennis has worked for several aerospace companies, and his projects include instruments for NASA, NOAA, the Air Force and South Korea. Rich Johns, a native of South Glens Falls, began his academic career at ACC in 1968 and transferred to the State University of New York at Potsdam, where he graduated in 1972. Johns taught elementary and middle school, and he coached tennis at Saratoga Springs High School for 38 years. Under his guidance, Saratoga won 17 League Titles, nine Sectional Team Titles and holds the Section II record for Class AA with 85 consecutive wins and a record of 107– 2 during that period. He has won numerous awards as a coach, an Excellence in Teaching Award by the SUNY Albany Chapter of The National Society of Leadership and Success in 2015 and 2016 and has been inducted into the SUNY Adirondack and SUNY Potsdam hall of fames as well as the Saratoga Springs School District and the South Glens Falls Athletic and Community Pride Hall of Fames. Following his passion of personal character development, Johns started a “pay it forward” mission called Act With Respect Always, which has grown into a national model of student and athlete character development. Brett Lange graduated from SUNY Adirondack in 1992 with an AAS in Radio Broadcasting. He went on to earn a Bachelor's degree in finance marketing from the University at Albany. Today, Lange owns four local businesses in Lake George: Christie’s on the Lake, S.J. Garcia’s, Pablo’s Burrito Cantina and Magic Castle Indoor Golf. His entrepreneurial career has kept him linked with SUNY Adirondack. Many of his employees are student or graduates, and he has established two scholarships, one supporting students pursuing culinary degrees and another related to the study of the humanities. The college’s Distinguished Faculty evaluated and selected the inaugural class from a competitive pool of nominations. Criteria for consideration include demonstrated excellence in the areas of professional achievement, community service, service to ACC/SUNY Adirondack and/or outstanding spirit. For more information on the Sept. 28 Trailblazers event, contact Jill Vogel at alumni@sunyacc.edu or 518.743.2244.